I’ve mixed feelings about this book, I enjoyed it very much but it also left me feeling fainly unsatisfied at the end. It’s not classed as Romance and yet…the synopsis certainly hints at a strong romantic content. Well, there is romance here, but for me not enough to justify inclusion in the brief description. 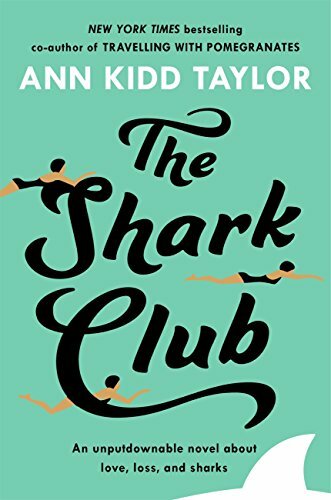 Its a story about so much more, loss, betrayal, families and coping, childhood bereavement, and of course Sharks and all the stories that surround them. Maeve gets badly bitten as a kid, then becomes fascinated by them, and through her work we get to know so much more, how intelligent they are, that they’re not the hardened killers so often made out, but incredible creatures just living out their lives until we interfere. Through that we get the whole Shark Finning theme – something pretty horrific IMO, and I didn’t realise it was so widespread or such a lucrative trade. Its got some great characters, some intense issues, starting with the twins parent’ death and subsequent upbringing by their aunt, childhood friendships, where they were so close with Daniel, he too having his own family issues. Then there’s the conundrum of relationships v career and that’s something that affects so many couples. Some real characters her, I loved Maeve, felt a bit annoyed at Robin, though he’s just dealing with life his way, adored Daniel but them Nick….I loved him too. Of course the real star is Hazel, 7 going on 37, a gem of a girl, confident and yet scared too. She was so perfect and the title reflects just how wonderful she was. Despite my criticisms its still a story I enjoyed very much and would recommend to those who like thought provoking novels, ones that give you something to mull over in quiet moments, who want to read about real people, real issues and enjoy a story that will take you away from everyday life for a few hours. Stars: four, an absorbing read but I felt some parts were lacking a bit for me.